At the heart of the movement towards Open Educational Resources is the simple and powerful idea that the world’s knowledge is a public good and that technology in general and the Worldwide Web in particular provide an opportunity for everyone to share, use, and reuse it. 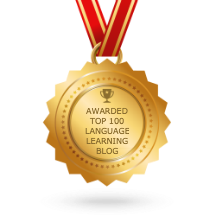 Welcome to COERLL’s brand new blog, Open Up, devoted to conversations about open education in language learning. Here, educators can get informed and dream together about dynamic, community-driven open educational practices in language learning. As you know, blog comments include like-minded voices as well as new perspectives to help us broaden our understanding on a topic. So please participate in the conversation. Open Up advocates progress toward a better future in language learning. As such, we ask you to keep your comments constructive, useful, civil, and in all other ways sociable. We’ll launch new blog conversations twice a week, and you can stay in the loop by subscribing through the options listed at the top of this post. To begin, we’d like to devote this conversation to your questions and thoughts. Take a look at our categories (at the top menu). Which do you want to know more about? Let us know! We look forward to moving into the future of language education together. Thanks, Sean! And let us know if there’s a topic you’d like us to cover. I’d like to know more about what ‘remixing OER’ means. Do you have examples of good remixing? I’d add, too, that assembling various articles and book chapters into a printed course pack is a great and common example of remixing, except that it’s done through a combination of fair use, individual permission, and royalty payments by the school to a copyright exchange. For OER, the remixing of texts and other media is done under explicit license, which can make things much simpler.